Mr. Stavros Spanos is a Mechanical Engineer from National Technical University of Athens (Greece), and holds an MBA in IT Management from Cass Business School in London (UK). Following 7 years in consumer goods and electronics retailing, he joined Hyperion in January 2001. Since then he led a number of growth related initiatives including the setup of the company’s MES group, the establishment of Hyperion’s Middle East subsidiary in Bahrain and the expansion of the company’s activities in Russia and the CIS region for which he was based in Moscow from 2003 until 2008. Since 2009 he is based at the Hyperion head offices in Cyprus and responsible for the international marketing strategy and partner relationships of the company. 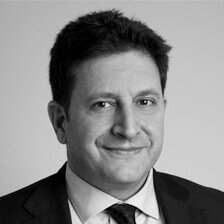 Dr. Symeon Kassianides is the founder, CEO and Chairman of Hyperion responsible for the overall management, strategic direction, growth and financial control of the company. With a PhD and DIC in Chemical Engineering from Imperial College of Science, Technology and Medicine, London (UK) and a BSc from MIT (USA), Dr. Kassianides has extensive experience in project execution and management in the process and manufacturing industries. 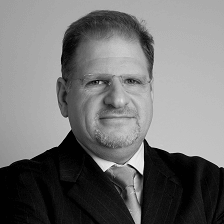 Additionally, he presently serves as a Director on the Board of a number of companies and organizations including the Natural Gas Public Company (DEFA) and the Employers and Industrialists Federation of Cyprus.